We can make sign inserts for all the common sidewalk and sandwich signs. We can do the design for you, or print your artwork. Either way, you get an attractive and durable sign in a few days. 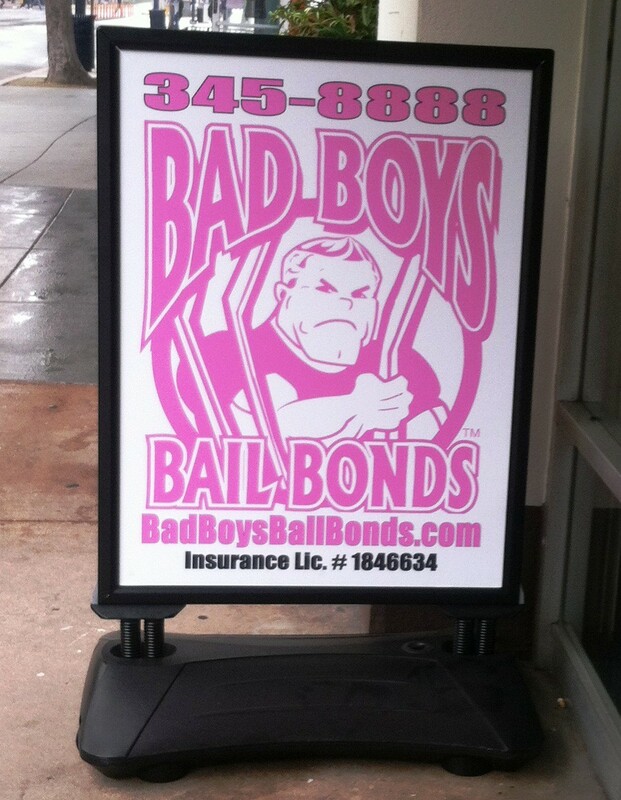 This sign was made for Bad Boys Bail Bonds in California. They had the sign and needed new inserts. Whatever your business, if you need to attract customers at the street level, this is a great way to do it. This entry was posted in Uncategorized and tagged fast signs, sandwich signs, sidewalk signs. Bookmark the permalink.